There are many considerations that naturally come up during tooth preparation for an anterior restoration. Once you’ve solidified your approach to color change, the next two can be a real breakthrough for the quality of the case. I’ve taken an in depth look at a majority of the important aspects of tooth preparation in recent blogs. Before you get to the step I’ll outline below, make sure you’ve covered your bases with the following topics. Have you chosen whether the prep will be minimal, aggressive, or somewhere in between? Have you treatment planned? Have you properly assessed potential alterations? And, finally, have you given ample focus to color change and design features? If your answer is a resounding “YES,” then this blog post will be immediately beneficial. What we preference and take into consideration during preparation is integral to whether or not the final result attains quality and predictability. Both are music to a dentist’s ears! You may have already decided to accept the patient’s existing occlusion because they fall under the low functional risk umbrella. Just remember that concerns may be minimal, but they still exist. 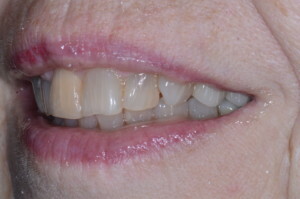 Before you begin the prep, plan for veneers by marking the patient’s existing intercuspal position. You’ll want to plan for the final intercuspal stops to be on the porcelain or on the tooth, as opposed to at the interface between them. It’s useful to plan ahead because the location of the stops may require more incisal reduction to move the margin. Repeat that as a mantra in your head. If it’s top of mind, you’ll have a better chance of achieving it. What you really want to avoid at all costs is failure. Anterior teeth that move during protrusive guidance pose a significant risk. 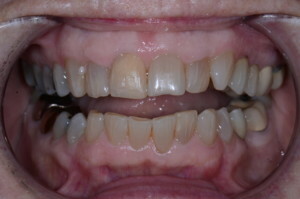 This is worsened when porcelain is bonded to dentin. You should also note that if the lingual is not prepared for patients with extreme wear, bonding to secondary dentin and restoration retention must be considered. Organizing your thoughts in regards to these considerations can prevent frustration and ensure clinical perfection in an anterior restoration case. In this way, they can be a breakthrough if you’ve been struggling to wrap your head around a particular case. How do you approach tooth preparation and what aspects do you consider most important? Join the conversation in the comments!